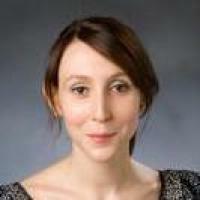 Anne-Gaëlle's recent research deals with French cinema and theories of cinema. In her current project she explores the ways in which the nineteenth-century literature and aesthetics surface in the New Wave cinema. She has given various papers on the cinematic avant-gardes and recently on the French director Robert Bresson. Saliot, AG, La mort de l’enfant, ou la vérité de la littérature : Sarinagara de Philippe Forest, French Cultural Studies, vol. 30 no. 1 (February, 2019), pp. 53-64 [doi] [abs]. A.G. Saliot, The Drowned Muse. Casting the Unknown Woman Across the Tides of Modernity, Monograph Series (September, 2015), Oxford University Press [do] . A.G. Saliot, La beauté du « contre-geste », ou détours par le Japon dans la danse française., in Paris-Tokyo-Paris. Réceptions de la culture japonaise en France depuis 1945, edited by Arribert-Narce Fabien, Kuwada Kohei, O'Meara Lucy (2015), pp. 166-176, Honoré Champion . Saliot, AG, The Drowned Muse: Casting The Unknown Woman of the Seine Across The Tides of Modernity (2015), pp. 1-373, Oxford University Press [do] [abs]. Saliot, AG, Truffaut, Rivette and woman's portrait: Traces, fragments and remnants of the nineteenth century, Contemporary French and Francophone Studies, vol. 18 no. 4 (August, 2014), pp. 395-406, Informa UK Limited [doi] [abs].